Training Workshop on "Research Tools / EndNote" at Department of Microbiology & FTDC, University of Balochistan, Quetta. 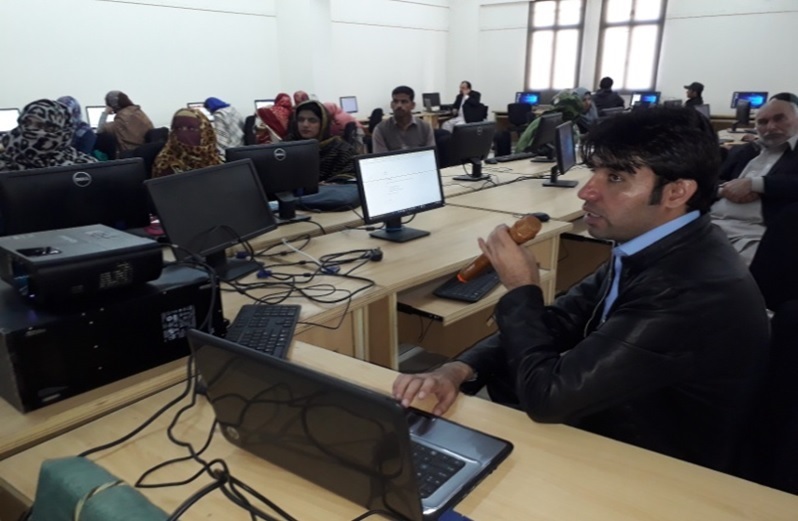 PASTIC Sub Center Quetta organized a PASTIC Training Workshop on "Research Tools / EndNote" for Department of Microbiology, University of Balochistan Quetta, on December 11-12, 2018 at University of Balochistan with the collaboration of FTDC, for orientation of the students. 50 Research Scholars enrolled in M.Phil / Ph.D. program along with 10 faculty members attended the workshop. Lecture was delivered about PASTIC services by Mr. Abdul Khalique Sial, Regional In-Charge, PASTIC Sub Centre, Quetta. 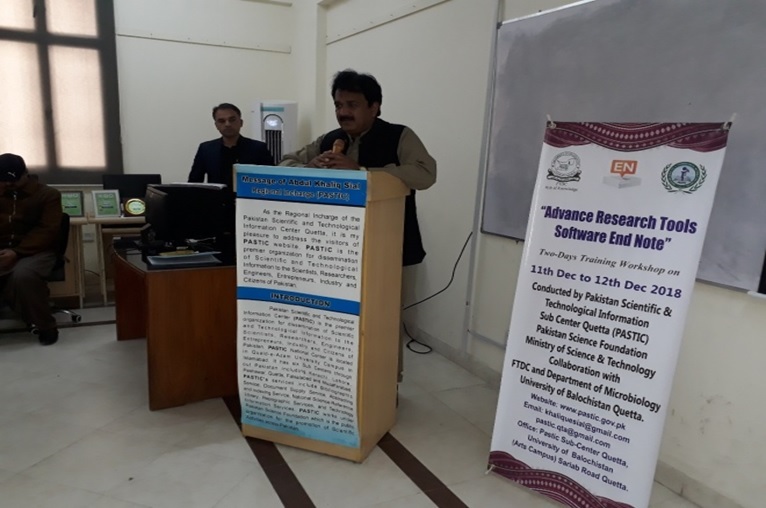 Resource Person, Mr. Munir Ahmed Khan, Assistant Director, Pakistan Standards & Quality Control Authority Karachi, delivered the lecture on EndNote Software. Prof. Dr. Mudasira Israr, Dean Life Sciences, University of Balochistan, Prof. Dr. Sobia Ramzan, Chairperson FTDC, University of Balochistan, Dr. Fazal-ur-Rehman, Director, Department of Microbiology, University of Balochistan and Research Scholar's appreciated the same. Mr. Abdul Khalique Sial, In-Charge,PASTIC Sub Centre Quetta, addressing the participants during Training Workshop "ENDNOTE" at Department of Microbiology, UoB. Mr. Munir Ahmed Khan, Resource Person, delivering lecture on "ENDNOTE" during Training Workshop.